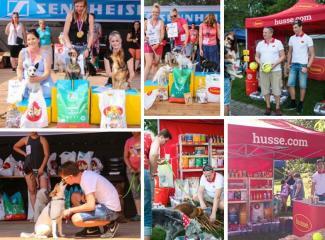 On the 2nd of June Husse participated in the National Dog Show for mix breeds in Czech Republic. Event took place in Prague and attracted a lot of visitors with their dogs. BREAKING NEWS! Royal dogs expect only the best. Royal dogs expect only the best. 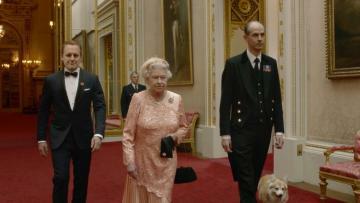 And Queen Elizabeth ensures they get it when she cares for her favourite Corgis. The Queen feeds them only with the highest quality dry food – and they are all served on silver platters. Yesterday Tim Biörk Eliasson had very successful meeting in Kensington Palace in London and we are very happy to announce that from 1st of April all Queen Elizabeth's Corgies will eat Husse! 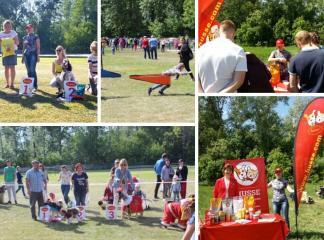 On the 27th of May Husse took part in Sport and Dog Festival in Sorov, in Russia. During this great family event people and their pets could participate in Open Dog Show, Best Dog Costume competition and a lot of events for kids.